31-W Insulation proudly offers garage door replacement services to homeowners in and around Nicholasville, Kentucky. If your garage door is malfunctioning or caved in, you’ll want to have it replaced as soon as possible. 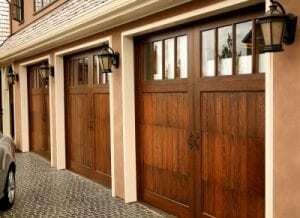 As both the largest door and largest moving part of your home, a properly functioning garage door is important for the safety, security, and appearance of your home. With all of the options available, you’ll be able to select the garage door that perfectly complements the appearance of your home in Nicholasville, KY. And if you need help deciding on the options that are right for you, the 31-W Insulation team is here to help. We can walk you through the options and answer all of your questions during a free, in-home consultation. Only when you’re completely satisfied with your choice will our factory-trained technicians take the next step and install your garage door with expert care and precision. If you’re ready to get started picking out a new garage door as a replacement for the old one on your Nicholasville, KY, home, contact 31-W Insulation today.